We are entering the 18th month of our local eating experiment and since I just had my annual physical, I thought this would be a great time to give you some data on how it has affected my physical and emotional health. A little data along with some recipes never hurt, right? Me: I think there is something wrong with my thyroid. Really. I’ve gained 10 pounds, although I’m still exercising and eating Lean Cuisine’s for lunch every day. I feel tired a lot and I have terrible PMS mood swings. Dr: Hmm, your thyroid tests look fine. Maybe you need to watch what you’re eating. Your cholesterol is up, too–204 is getting high. Me: Ummm, I AM watching what I’m eating. I have a bagel for breakfast and low-fat yogurt, a diet frozen dinner for lunch with diet soda and a reasonably sensible dinner. I can’t eat any less and survive. Dr: Well, clearly, something is happening between your food intake and your exercise output. Or maybe it’s just middle age. As frustrating as this conversation was, it forced me to look at–and I mean REALLY look at–what was going on in my diet. That weekend, I did an inventory of our pantry and refrigerator. Lots of processed, pre-packaged foods (hey, they’re easy and cheap), frozen vegetables (hey, they don’t go bad), diet soda and plenty of refined carbohydrates in the form of bread and bagels. In summary–almost all of our food was labeled “healthy” or “low fat”, but almost all of it came from a factory. That year, our New Year’s resolution was to transform our eating for one year. In the 18 months since then, we have completely switched our diet around. What does that look like? We still eat meat, but we eat smaller portions of it surround by ample portions of fresh vegetables. 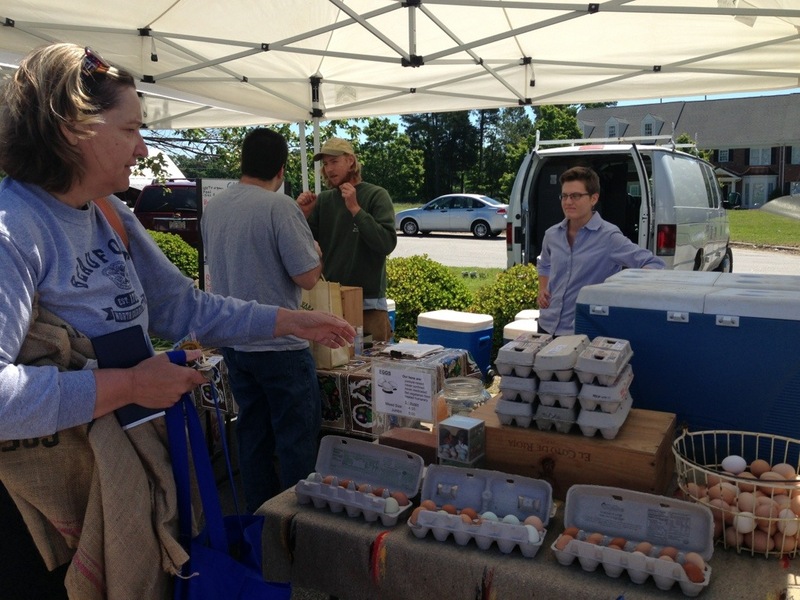 We only buy meat, eggs and most dairy locally and only purchase meat that is free of antibiotics and growth hormones. We purchase only locally caught, sustainable seafood. Most of our meat is certified as humanely raised. 98% of our vegetables come from local sources and most are organic. We drink water instead of diet soda. We do not buy processed snack foods or pre-packaged meals. We cook at home 6 out of 7 nights. We can, freeze, dry and otherwise “put up” local fruits and vegetables when they are ripe, so we have them all year long. We only shop the grocery for things we cannot find at the farmer’s markets (organic rice, yogurt, frozen mangos for smoothies–that kind of thing). How does that affect one person’s health? At that initial physical with my doctor, I was at the highest weight of my life outside of pregnancy. I was frustrated because it seemed to be spiraling out of control and no reduction in the amount I ate was affecting it. In the first year, I lost 15 pounds without altering anything except to buy local meat and vegetables, cook more at home and use a nutrition app when I eat out. I’ve maintained that loss and now I am working on increasing my exercise and adding miles to my running. I have always had good reports from my doctor, so to hear that my cholesterol was high was a shock. Not only was my overall cholesterol high (204), but my bad cholesterol was high. In the first year, I reduced my overall cholesterol to 193 and so far this year, I have reduced it further to 182. My bad cholesterol is down to 104 and my good cholesterol is up to 57. This is really great news! One of my biggest concerns was that I was tired and lethargic. I don’t think I realized the impact that eating poorly was having on my system. Those diet frozen lunches were terrible–high in refined carbs and salt, with little nutrition. I have more energy now than I have had in a long time. This year, I discovered that in spite of my healthy eating, I am still very, very low on vitamin D (thank you, long, cold winter). Now that I am taking a supplement to help with that, my energy level is fantastic and I have more than doubled the distance I can run! For much of my adult life, I have had wicked PMS symptoms–crying, anger, sudden outbursts. I hated it. Everyone around me hated it. Pretty miserable situation. I’m not sure which part of my diet change has affected that, but this is an area where I have seen a very dramatic impact. While I can still have a little irritability, my PMS symptoms are almost gone and I don’t experience the severe water retention I had before. AMAZING! Is it the no hormone/no antibiotic meat? Is it the lack of hyper-processed food? Is it the increase in fresh vegetables? I have no idea, but I’m sticking with it all! What does this mean for you? Well, everyone has their own decisions to make regarding health and nutrition. 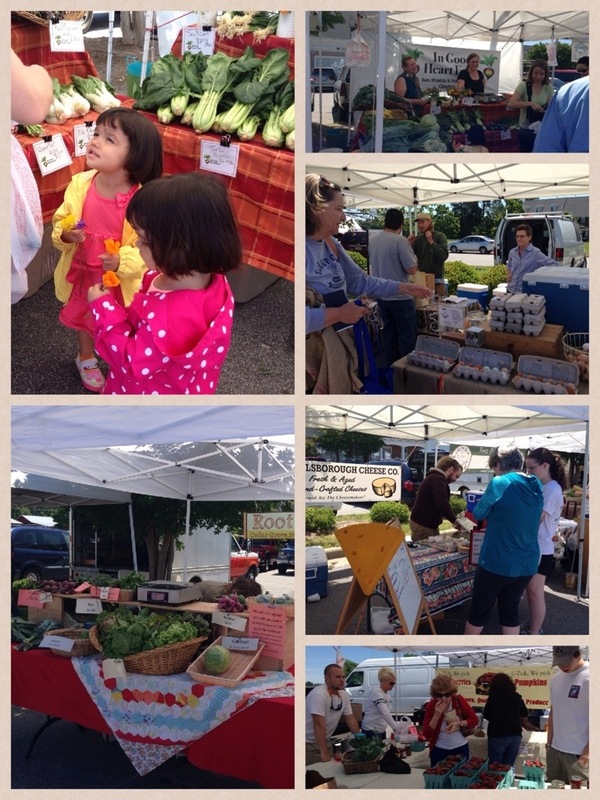 And, let’s face it, not everyone has access to fresh food or good quality farmer’s markets. I think our ongoing family experiment shows that part of our national nutritional problem is WHAT we eat. Another part of it is WHERE our food comes from. If you want a cookie, fine, have a cookie (not 6). But a homemade, whole grain or whole wheat cookie with real butter and reduced sugar and a store-bought cookie from a box are not the same thing. They don’t taste the same and they don’t act the same in your body. I am not a scientist, but I can tell you that food from a box is not the same to your body as food from the garden. 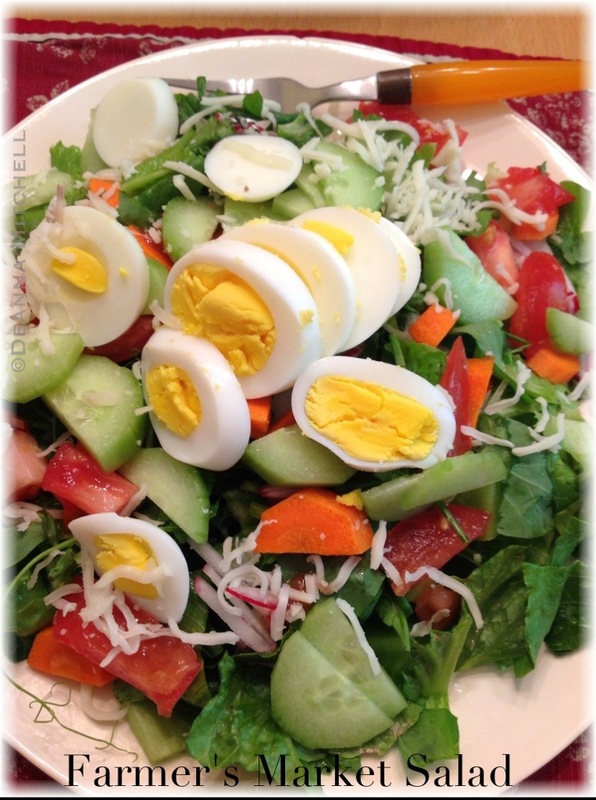 SOLE Food Kitchen is not about depriving yourself of “the good things”. It’s about realizing that the “good” things–whole grains, organic, fresh vegetables, sustainable, quality meat and eggs–are a treat for your body as well as the environment. And hyper-processed, packaged foods are without a doubt contributing to our national obesity, low energy and other health-related problems. It is Memorial Day weekend, and in addition to honoring those who have sacrificed to keep us safe and free, it is the unofficial start to summer here in the U.S. In spite of some unseasonably chilly temperatures, we are starting our grilling season in earnest with these grilled barbecue chicken thighs. I know chicken breasts are healthier overall, but to be honest, I just don’t like them. They dry out too easily and take longer to cook. We typically buy boneless, skinless organic chicken thighs instead. 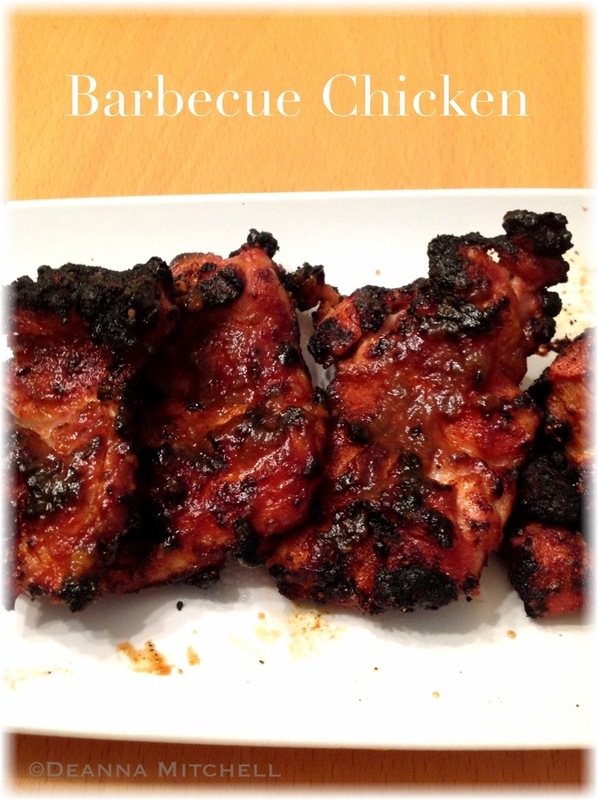 They are quick to cook and seem to have loads more flavor than white meat. 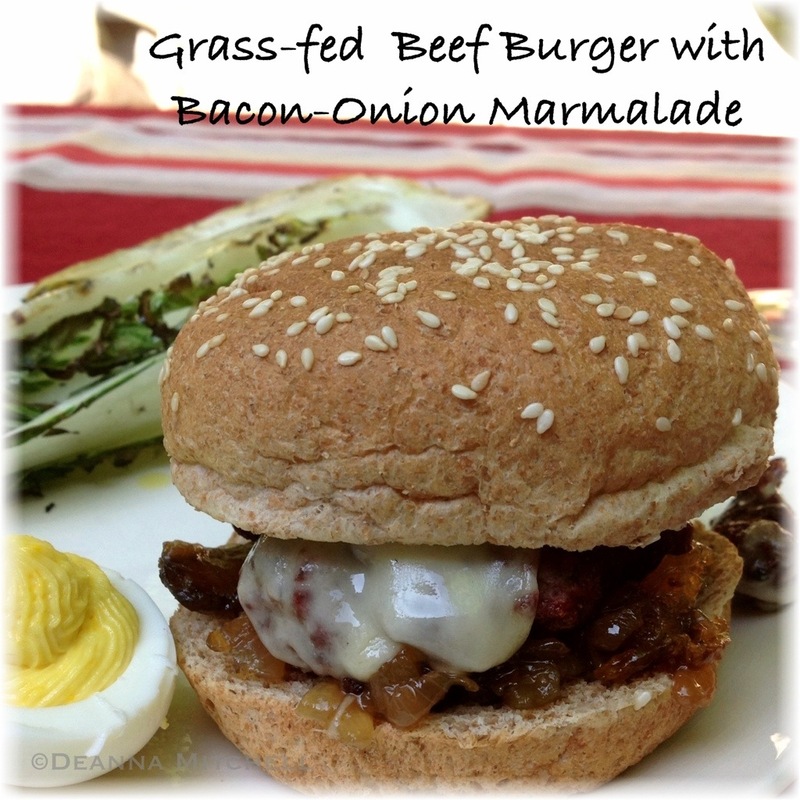 For our first grilling session of the spring, we made THIS awesome recipe from Sugar Dish Me. The spicy rub was perfect–sweet and smokey. We used the smoked paprika we had on hand to make it extra smokey! And we used our own charred pepper barbecue sauce that we canned last summer. Yum, yum, and yum!!! This combination is better tasting and better for you than using the prepared seasoning (mostly salt) and commercially bottled barbecue sauce (very high in sugar and fructose corn syrup). We had to show some real restraint and not eat it all up (there was strawberry rhubarb pie, after all, and who wants to miss that???). If you are in the part of the world just coming into summer, put this recipe on your list of things to try! If you are just beginning fall, well, put this on your list for next year–or just keep on grilling until it snows! Mix the spice rub ingredients together per instructions and rub generously into the chicken. Let chicken sit at room temperature while you prepare the grill. Preheat your grill and leave on high. Add chicken thighs to the hot grill and cook for 2 minutes per side. Lower temperature a bit and baste chicken. Cook for an additional 2 minutes per side. Turn one more time and baste chicken with sauce. Cook for an additional 2 minutes per side. Check for doneness. Remove from the grill. Let rest about 4 minutes and serve. Happy grilling to all of you! Doesn’t the word “bluebarb” make you smile? Say it out loud. You’re grinning, aren’t you? Your smile will be even bigger if you make this wonderful blueberry rhubarb jam. 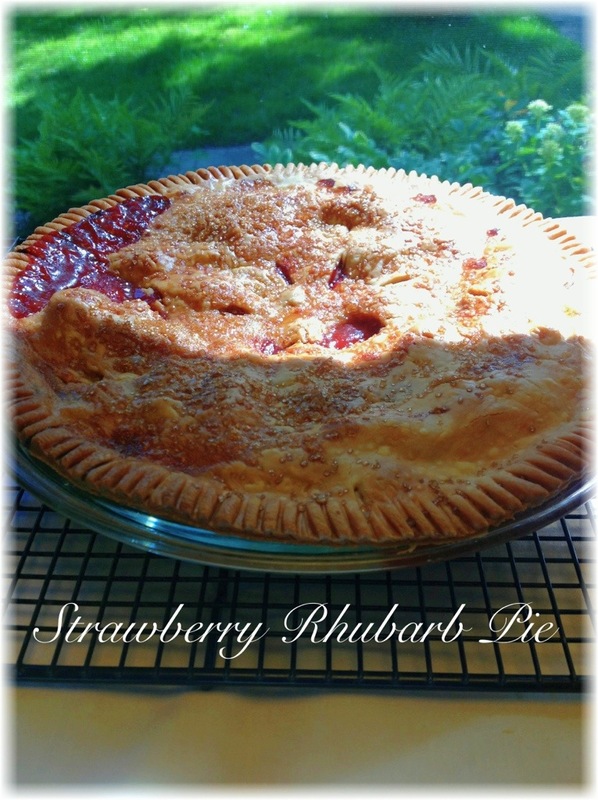 Rhubarb is one of those odd fruits that I don’t use much. It’s hard to find here and it looks like some strange, mutant variety of red of celery. By itself, it is too tart to eat, but combined with other fruits, it gives a very pleasant, fresh tartness that cuts through the sweetness of ripe berries. Strawberry-rhubarb is a more common combination, but I had some fresh blueberries from a late week run to the farmer’s market, so I thought, why not??? 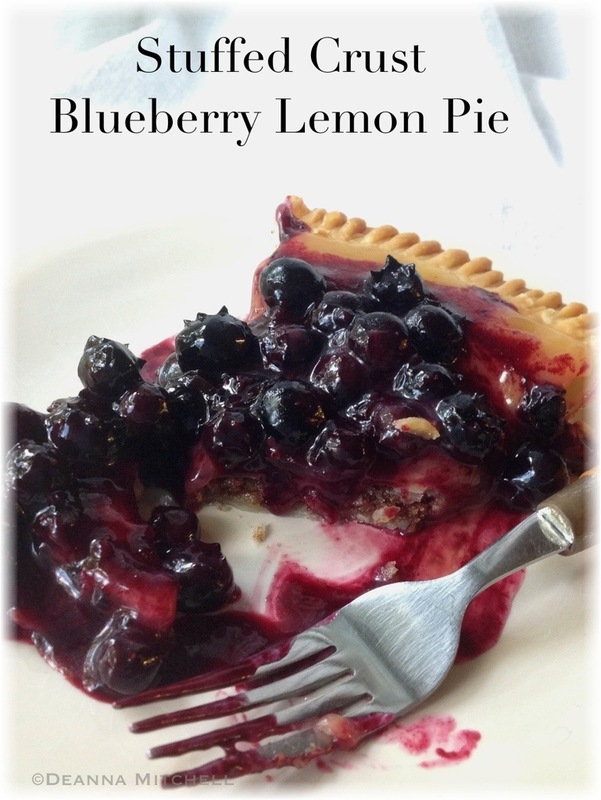 Blueberries are pretty sweet on their own, which is why I love them paired with lemon. So why not rhubarb? 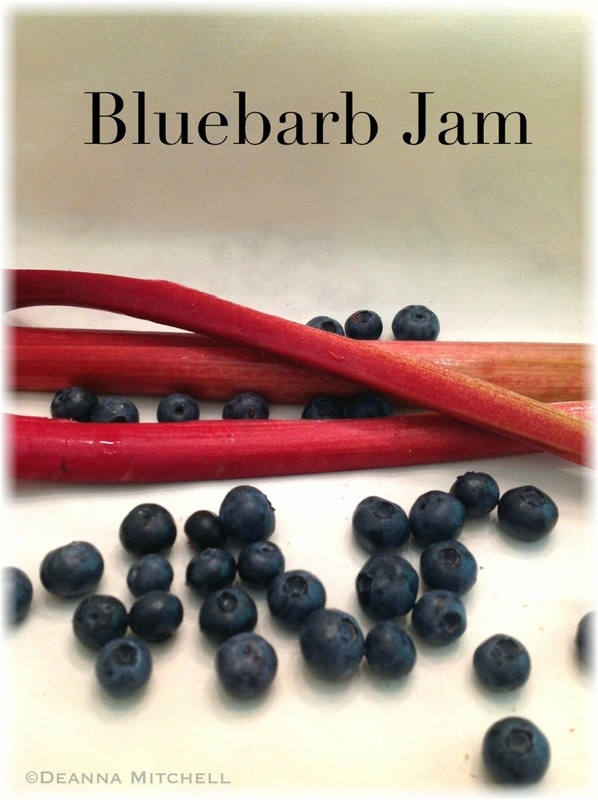 This jam is sweet and a bit tart, and the rhubarb seems to really bring out a nice flavor to the blueberries. I will definitely do this again! 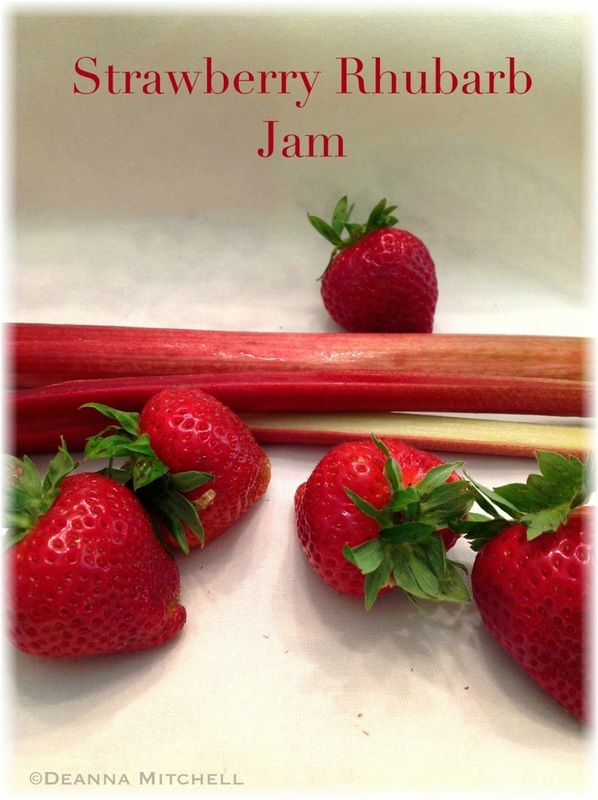 This recipe is from Pomona’s Universal Pectin. Fill a canning pot with water, insert the rack and add 4 half pint canning jars. Heat over high heat to boiling, then turn off heat and let sit until you are ready. Add blueberries and cook 1-2 minutes. Mash berries with a potato masher and continue cooking. In a small bowl, combine the sugar and pectin. Slowly stir the sugar into the berry mixture. Bring to a boil. Turn off heat and let berry mixture sit for 5 minutes. Return the filled jars to the canning pot, cover pot, and heat over high to boiling. Boil for 10 minutes. Turn off heat, remove cover And let sit for 5 minutes.